To mark the 50th anniversary of the start of flight tests on the Boeing 747 in February 1969, Australian Aviation is republishing Ellis Taylor’s report from the April 2010 edition of the magazine on the first flight of the latest, most recent variant of the iconic aircraft, the 747-8, in February 2010. Long known as the Queen of the Skies, the latest in the line of aviation royalty took to the skies only one day short of the 41st anniversary of the first 747-100 test flight. The first 747-8 Freighter, MSN RC501 and registered N747EX, made its first flight on February 8 from Paine Field. 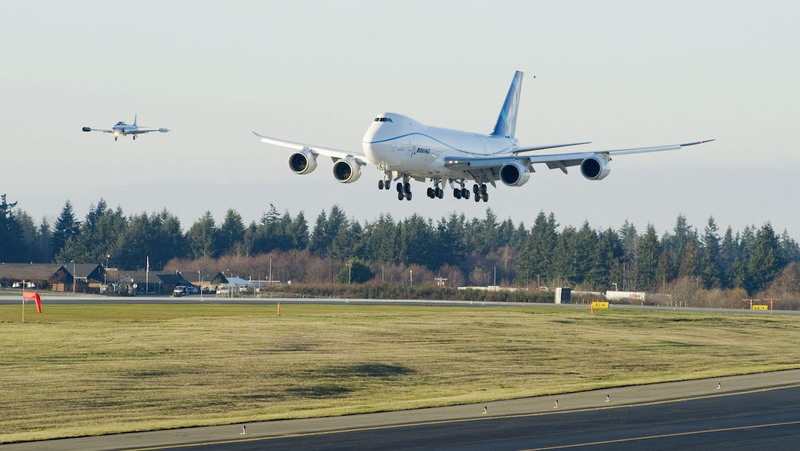 Piloted by 747 chief pilot Mark Feuerstein and Captain Tom Inrich, the aircraft took off at 12:39pm local time and underwent a three hour, 39 minute test flight over Puget Sound, where it underwent tests for basic handling qualities and engine performance. RC501 reached a cruising altitude of 17,000ft and a speed of up to 230kt. Since its first flight, RC501 has undertaken a range of test flights, working up to achieving experimental certification, after which the second 747-8F (RC521) will make its first flight and join the program. This was expected to occur before the end of March, while a third 747-8F will also join the testing program. Flight testing is being run out of two locations – Moses Lake in Washington and Palmdale, California – in an effort to ease capacity at Boeing Field while 787 testing and certification is ongoing. Boeing says that flutter and initial airworthiness testing will be carried out at Moses Lake, after which the three aircraft will move to Palmdale to complete certification testing. All up, it is expected that the three aircraft will complete 1600 hours of flight testing. Originally launched in November 2005 on the back of launch orders for 18 Freighters from Cargolux and Nippon Cargo Airlines, the 747-8 has so far garnered 108 orders. While based on the 747-400 airframe (itself a development of earlier 747s), the 747-8 represents something of a new beginning, with a number of significant changes. The biggest of these is the 68.5m span redesigned wing, which features a higher aspect ratio, as well as raked wingtips similar to those on the 777-300ER/200LR for greater efficiency. The fuselage also receives a stretch, with both versions, the 747-8 Freighter and passenger Intercontinental, taking on an additional 5.6m in length, making them, at 76.3m, the longest aircraft in the world (bar the one-off An-225). 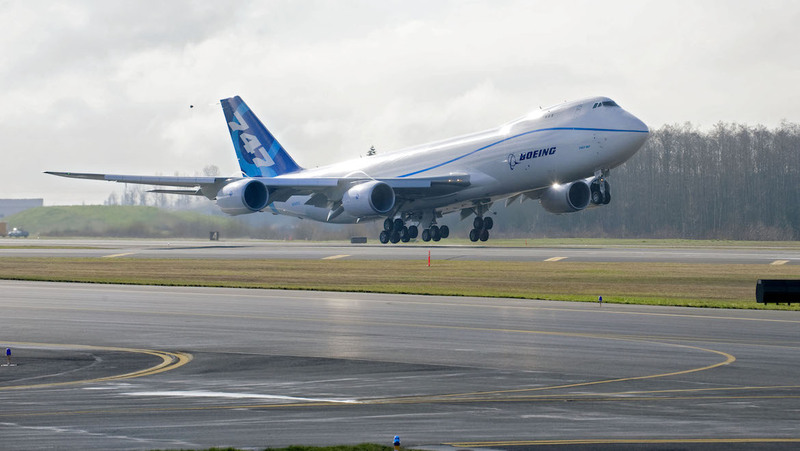 Despite this, Boeing says that the 747-8 will be compatible with any airport which currently handles the 747-400. The other most significant change is to the engines. Gone is the choice of Pratt & Whitney, Rolls-Royce or General Electric engines, with the sole powerplant offered being the GEnx-2B, which produces a maximum of 295.8kN (66,500lb) of thrust. The engine is a slight evolution of the GEnx-1B which was developed for the 787, sharing the same engine core and 80 per cent of the line replaceable units, but featuring its own 2.67m fan, three stage booster and six stage low pressure turbine, and plumbing for bleed air power. Compared to the GE CF6s offered on the 747-400, GE says that the GEnx will offer a 15 per cent improvement in fuel efficiency. In addition, it uses 30 per cent fewer parts, and is expected to have a 30 per cent greater time on wing, significantly cutting maintenance costs. Another important addition is a change in the flight control system, which uses a hybrid between fly-by-wire and hydraulics for different control surfaces. The aircraft has also received a new Rockwell Collins flightdeck, although changes are minimal so that crews already flying the 747-400 will be able to easily transition across. VIDEO: A look at the 747-8F’s first flight from the Boeing YouTube channel. While other lines such as the 777 and 767 have been transformed to nose-to-tail moving production lines, the 747-8 will continue to be produced in the same building at Everett (40:22) as its 1400 or so predecessors, with the aircraft assembled in a centre line position before being moved to two slant positions, as the length of the aircraft prevents it from being moved to a nose-to-tail line. Integrating the fuselage, which is based on the original 1960s design of the 747‑100, with a modern wing, engines and systems has not been without its challenges, and has led to two delays to the first flights and deliveries of the 747-8. “As the program assembled major components of initial 747-8 Freighters during the third quarter, it became clear that late maturity of engineering designs has caused greater than expected re-work and disruption in manufacturing,” the company said in an October 6 statement. Compounding the issue has been a lack of spare engineering resources at Boeing, which has also been dealing with the chronically delayed 787 program, while the machinists’ strike of 2008 also had an effect. Nevertheless, the first flight of the first freighter should see the company make its first delivery to Cargolux during the fourth quarter of this year, with the Intercontinental to be delivered in the fourth quarter of 2011. The 747-8 has the distinction of being Boeing’s first aircraft program where the freighter version has sold more than the passenger version by the time of its first flight. With launch orders for 18 aircraft from Cargolux (10) and Nippon Cargo Airlines (eight), the 747-8F has since attracted orders from Cathay Pacific, Emirates SkyCargo, Korean Air, DAE Capital, AirBridgeCargo, Guggenheim Aviation Partners and Atlas Air. As of March, 76 Freighters had been ordered. The 747-8F represents a significant step up for prospective operators. 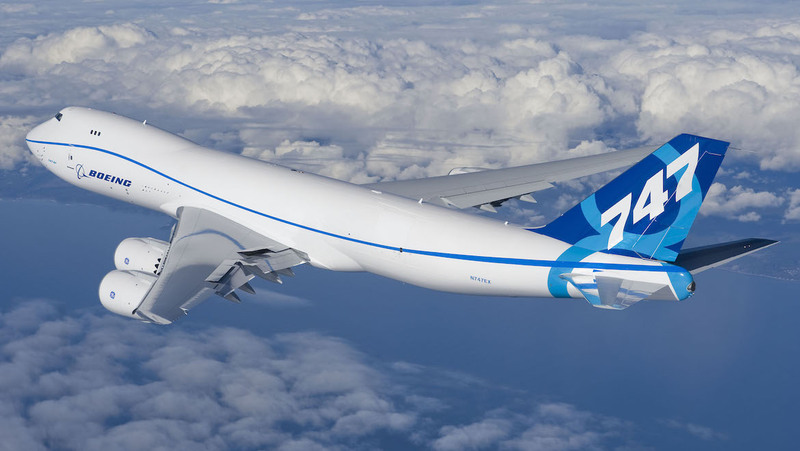 With a total payload capacity of 140 tonnes, the 747-8F provides 16 per cent more cargo revenue volume than the -400F. The longer fuselage also opens up an additional 117m3, creating space for four additional main-deck pallets, two additional lower-hold pallets and two additional lower-hold containers. Crucially, the -8 retains the nose door of earlier 747Fs, which allows for simultaneous use of both the nose and side doors, allowing for efficient ground handling. Operating economics will also be improved, with the aircraft expected to have 16 per cent lower tonne-kilometre costs than the 747-400F with similar trip costs, while its range will be 4390nm. However, some analysts believe that the aircraft may face a market threat from its earlier siblings – particularly converted 747-400s. With values of these aircraft falling now due to them being replaced by the A380 and, to a lesser extent, 777-300ERs, many are now prime candidates for conversion into freighters, such as with the Boeing Converted Freighter program. The fall in cargo volumes over the last year has also seen a number of freight operators, including 747-8 customer Cathay Pacific, park their 747s, with capacity coming back slowly. Similarly, some of the final 747-400ERFs built were reportedly put immediately into storage. Anecdotally, the high availability of these aircraft has already had an impact. 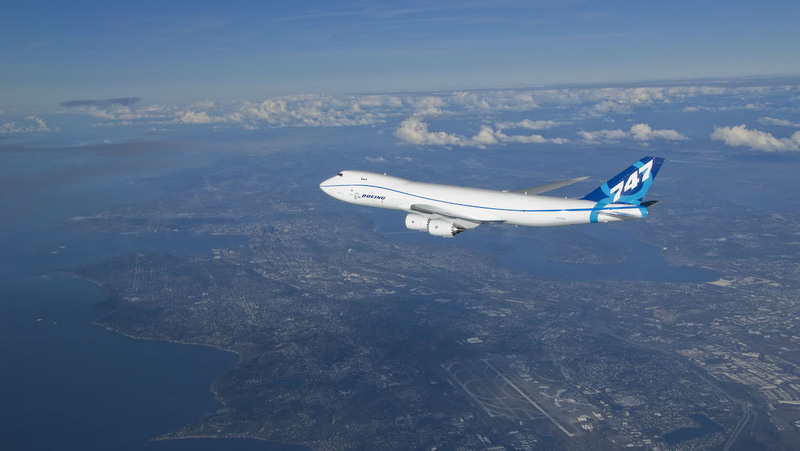 In January, Boeing confirmed that lessor Guggenheim Aviation Partners had halved its orders for 747-8Fs to two. Many industry analysts believe that the poor market for freighters had forced the lessor to lower its exposure to the market. Despite this, Boeing predicts that there will be strong demand for new freighters over the next 20 years, with a gradual shift towards larger, more efficient aircraft. With Airbus having cancelled the A380 Freighter for now, it appears that the 747-8F could be the sole new-build heavy freighter in a sweet spot over future years. While the 747-8F undergoes its testing and certification program, a number of resources are now being turned towards the preparation of the first passenger version, the Intercontinental, with assembly of the first aircraft to begin during the middle of the year. The aircraft has been designed to accommodate 467 seats in a three-class configuration, with a range of approximately 8000nm. In addition, the 747-8I will have a 26 per cent greater cargo capacity, while it will create a 30 per cent smaller noise footprint than its predecessor. As with the Freighter, the Intercontinental promises major improvements in operating economics, with seat-kilometre costs 13 per cent lower than the 747-400’s, with an estimated two per cent lower trip cost. Boeing also claims that as it is more than 10 per cent lighter per seat than the A380 and consumes 11 per cent less fuel per passenger, it will have a 21 per cent trip cost and six per cent seat-kilometre cost reduction over the A380. Naturally, Airbus disputes these figures. 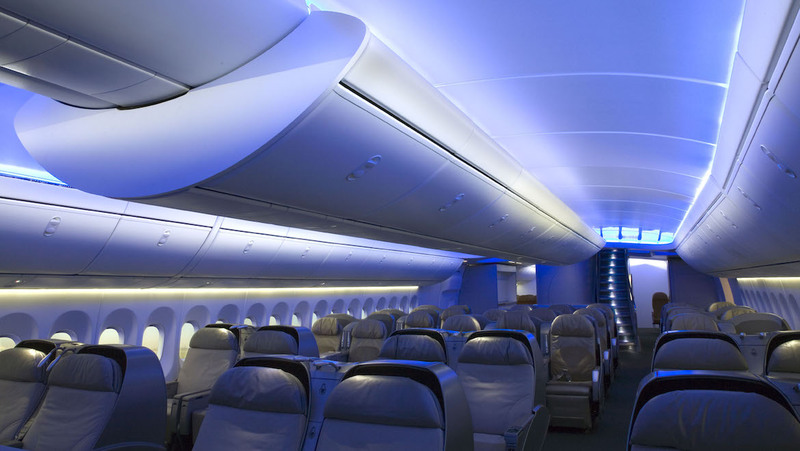 Boeing says that it aims for the interior of the 747-8 to give passengers a “memorable flying experience”, and has borrowed a number of interior concepts from the 787. These include the new upswept cabin architecture, LED lighting and larger overhead pivot bins for storing carry-on luggage. Lufthansa was the launch customer for the Intercontinental, placing an order for 20 and 20 options in December 2006. That order stood alone for some time, with key potential customers such as British Airways choosing the competing Airbus A380 in 2008 instead, while other customers such as All Nippon Airways deferred decisions on new aircraft acquisitions due to the onset of the global financial crisis. Emirates, which has 10 Freighters on order, had also courted the 747-8I, and pushed Boeing to focus on offering additional range rather than additional capacity with the aircraft. Its reasoning was that it wanted it to be able to operate nonstop routes such as Dubai-San Francisco with the aircraft. Boeing subsequently decided to go for the additional capacity rather than range, effectively ruling out an Emirates order in the short term. The only other carrier to express interest in the Intercontinental until recently was Nigerian carrier Arik Air, which announced at the 2008 Farnborough Airshow that it intended to place an order for 747-8s. However, neither the carrier nor Boeing has announced a firm order and Arik recently acquired three Airbus A340-500s for its long haul services. Crucially, the slow sales situation abated in December last year when Korean Air placed an order for five Intercontinentals. To be operated on routes to North America and Europe, they are in addition to five Freighters the airline has committed to. For both Lufthansa and Korean Air, the 747-8s will fill the gap in capacity between their A380s and their smaller widebodies – A340-600s and 777-300ERs respectively. Boeing sees this as a critical market gap and expects to see further orders over the year ahead, particularly as airlines come out of the recession and credit starts to flow again. Also challenging for the aircraft is the fact that a number of existing 747 operators are choosing to replace their aircraft with smaller widebodies, such as Air New Zealand which will receive its first 777‑300ERs this year to replace its 747-400s. Elsewhere, Japan Air Lines has indicated that it will cease operating 747s by the end of the year as a cost saving measure, and is thought to be unlikely to order the 747-8 or A380. In the other significant long haul market of the United States, carriers such as Delta and United appear to be content to drift down into smaller aircraft rather than directly replacing their 747-400s in the short term. United has committed to ordering Airbus A350-1000s as the largest aircraft in its fleet, while Delta’s 747-400s, inherited from its merger with Northwest, have recently received cabin upgrades and appear to be set to soldier on. Aside from airlines, the additional size of the Intercontinental has seen it make some relatively strong inroads into the VIP market. At the time of writing, Boeing Business Jets had ordered eight of the type for use as VIP jets, many of which are believed to be for various governments to transport their heads of state. More than 40 years after Boeing ‘bet the farm’ on the 747, the aircraft in its various iterations has earned its title as the Queen of the Skies by providing a number of revolutionary capabilities to the world’s airlines. 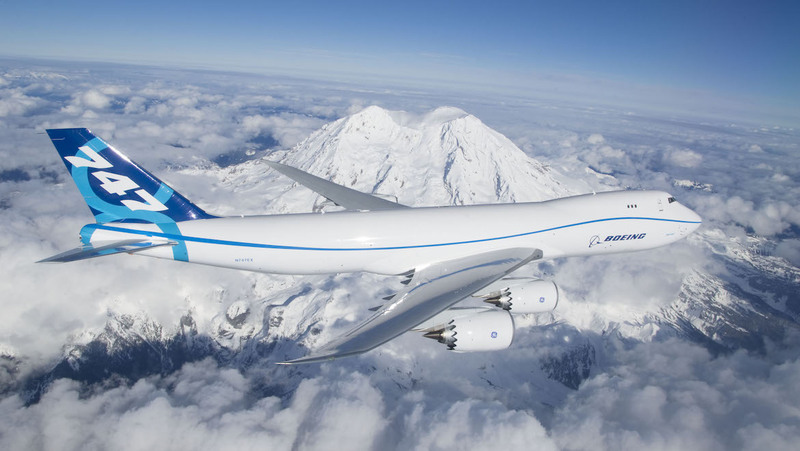 Boeing intends to continue this legacy with the 747-8. VIDEO: The Boeing 747-8F performs a rejected takeoff, again from the Boeing YouTube channel. This story first appeared in the April 2010 edition of Australian Aviation magazine. To read more stories like this, subscribe here. Story note: Boeing rolled out the first 747-100 at its Everett final assembly line just outside Seattle in Washington State on September 30 1968. Flight tests began on 50 years ago today, February 9 1969, with first delivery to launch customer Pan Am taking taking place in January 1970. The March 2019 edition of Australian Aviation magazine will include a comprehensive feature on the past, present and future of the mighty 747. "I love the 747 because it was an incredibly successful airplane." – Brien Wygle, co-pilot on the 747's very first flight.